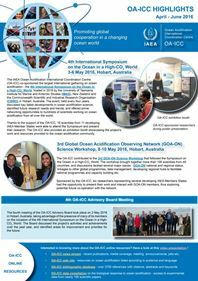 The International Alliance to Combat Ocean Acidification invites subnational, national and civil society leaders who are working to support coastal communities impacted by ocean acidification to come together to discuss actionable steps to address changing ocean conditions. Governments from the local to national levels will share policy solutions they have developed within their regions and across climate agreement frameworks through “OA Action Plans.” Global Climate Action Summit delegations will also announce their commitment to join the OA Alliance and work toward local to global policy commitments. 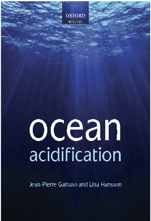 Description: During this webinar, Brian Erickson of Oregon State University, will provide insight from a review of 90 + existing ocean acidification teaching resources, pointing out key gaps and highlighting an effectie. He will also introduce a brand new education resource to effectively convey ocean acidification to students. Shellfish aquaculture production has seen a steady rise worldwide for the last 40 years. Integral in this has been the ability to consistently produce vast amounts of shellfish larvae in increasingly sophisticated shellfish hatcheries. The fact that these hatchery’s primary task is culturing a calcifying larval organism, a fraction of a millimeter in ultimate size, make them uniquely susceptible to the effects of ocean acidification and/or coastal acidification. Increasing frequency of unexplained poor larval production has spurred commercial shellfish hatcheries in Virginia to loosely organize around the common goal of better understanding the effects of variable ambient water quality on larval production success. Carbonate chemistry being one, albeit big, piece of the total water quality puzzle. This presentation will explore the water quality puzzle and efforts to solve it, as it pertains to shellfish hatcheries from the perspective of Oyster Seed Holdings, a commercial oyster hatchery located on the western shore of Chesapeake Bay in mesohaline waters. Event Details: Ocean acidity has increased by 30 percent and is expected to double over pre-industrial levels by the end of this century, as the ocean absorbs one-third of the carbon dioxide generated by human activities. Extensive field studies conducted worldwide already show significant impacts on fisheries and marine ecosystems from ocean acidification, which will worsen in the future.